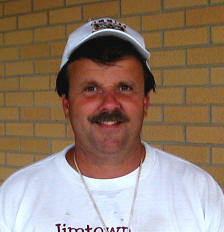 Bill Sharpe- Head Coach/Athletic Director Bill Sharpe begins his 28th year at Jimtown High School. His record as the head coach is 277-53 for a .839 winning percentage. He has led the Jimmies to 4 State Titles. Coach Sharpe is currently 8th in all-time wins in the state of Indiana, second among active coaches and has the third best winning percentage among all head coaches. The South Bend LaSalle and University of Evansville graduate is a member of the Indiana Football Hall of Fame. 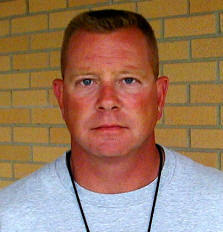 Coach Sharpe and his wife Kathy have four children. Ned Cook (Asst. 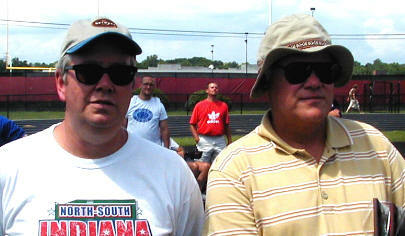 Head Coach & Defensive Coordinator)- The former Jimtown defensive standout (1978) has been coaching at JHS since 1986. He is a Purdue graduate and teaches PE at the Junior High. Was a All-Star coach in 2001. Mark Ward (Offensive Coordinator & running backs)- Mark was a Northern Indiana Conference MVP at Penn (1979-80) and has been at JHS since 1986. He teaches business at the high school. Coached Anthony Johnson at Adams. 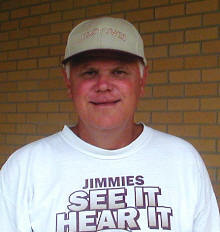 Gene Johnson (Kickers and Defensive Backs)- Gene has been a coach at JHS since 1979. He is a Concord and Ball State graduate. 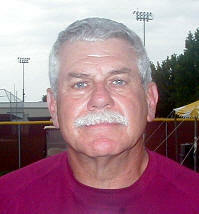 He has also been the girls basketball head coach since 1983. 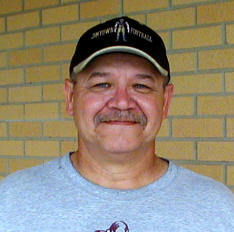 Mark Kerrn (Linemen)- Mark has been on the staff since 1987. He graduated from Mishawaka and Indiana University. Teaches Social Studies at JHS. 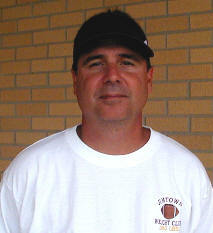 Dave Pontius (Freshmen Coach)- Dave has been on the staff since 1987. Dave graduated from Jimtown (1971) and works in Bremen. 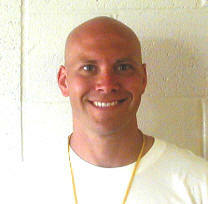 Matt LaFree (JV Backs)- Matt has been at JHS since 2003. 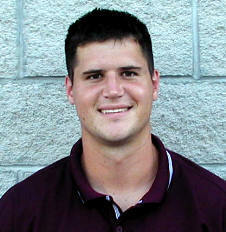 He was a quarterback at Bremen and teaches at Jimtown Intermediate. 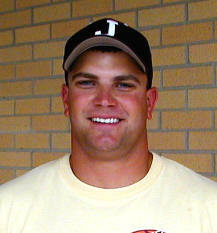 David Sharpe (Linemen & Ends)- David was a All-Star player at JHS (1999) and graduated from Purdue. 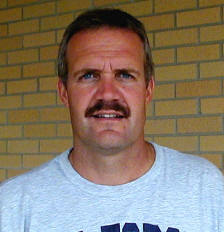 Scott Bovenkerk (Quarterbacks)- Scott has been on the staff since 2000. 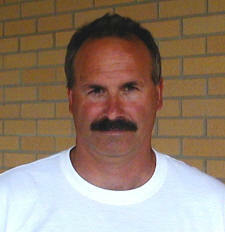 He has been the head coach at Three Rivers (MI) and SB Washington. 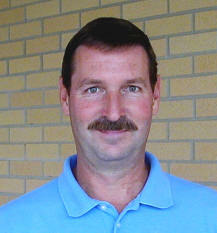 Doug Toombs (Junior High)- Doug played football at Penn; got his degree at Ball St. and teaches Industrial Tech. at JJHS. 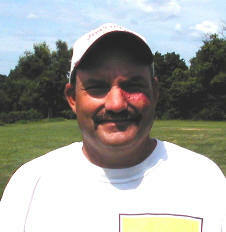 Mike Campbell- Mike joins the staff after 6 yrs. at Wawasee HS. 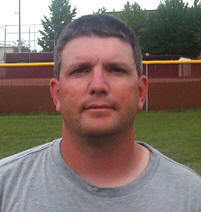 Mike played for the Jimmies in the 1990's and will teach Social Studies at the high school. Dan Hipskind (JV asst. )- Dan will teach Math at the high school this. He played football at Wabash High School. 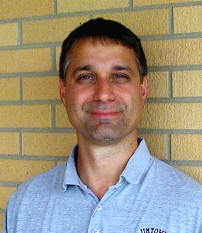 Rick Yurko (Trainer)- Rick graduated to Hobart and Ball St. and has been on the staff since 1983. Steve Greenlee (Statistician)- Tree has been with Bill since 1980. He graduated from Memorial and Marian College. Mark Candler on the left with coach Sharpe (Webmaster)- has been helping keep stats since 1991 and started the website in 2000. He graduated from Jimtown and Indiana University.